This is the page where you can find introductory information about how to care and develop your digital collection in your museum. The National Information Standards Organization has published “A Framework of Guidance for Building Good Digital Collections” (2007) which walks you through creating collection, object, and metadata principles. The National Archives guidelines for digitizing archival materials for electronic addresses topics like digital image capture, metadata, quality control, and file formats. The Pennsylvania Historical and Museum Commission created a crash course on planning a digital archive. The Royal BC Museum created an interactive guide called “Caring for Digital Collections”, which will show you how to fundraise, organize, manage, protect, and preserve your institution’s digital assets. Minnesota Historical Society’s created this scanning/digitizing worksheet to help you prep for a digitization project. Want to learn the basics of imaging technology? Check out this guide, “Introduction to Imaging,” from the Getty. Object photography often isn’t as easy as it might seem. This video will give you some tips. Cornell University Library created a copyright term and the public domain in the United States chart.To learn more about the legality of copyrights and how to get them cleared review this crash course by The University of Texas Libraries. eHive was created to give small museums an easy, low-cost way to share collections over the web using images and texts. 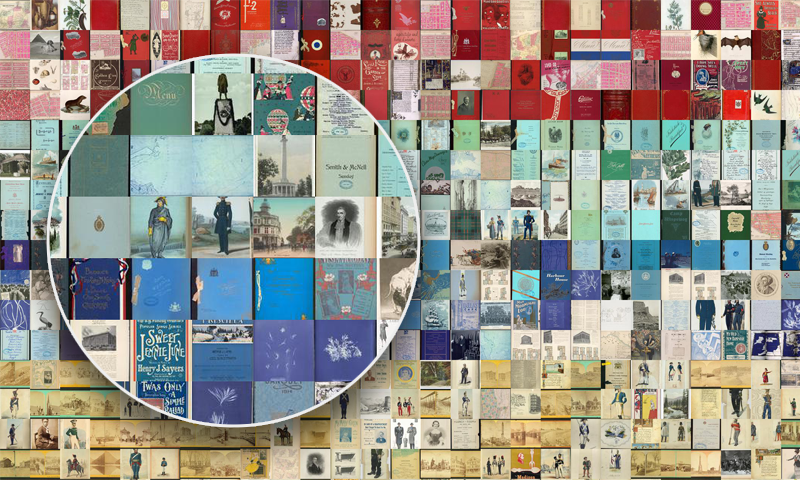 LibraryThing is a web site that allows users to share their book collections and can be used for small libraries, research collections, or museums. DSpace is a free open-source software that will help you create and manage a digital repository. HistoryPin goes beyond your small museum and allows the community to pin their local and family history to your collection. Hagley Museum and Library has an excellent HistoryPin channel to view as you create one for your museum.